I’m 50 years old and I live with my wife and daughter in Lebbeke, Belgium. 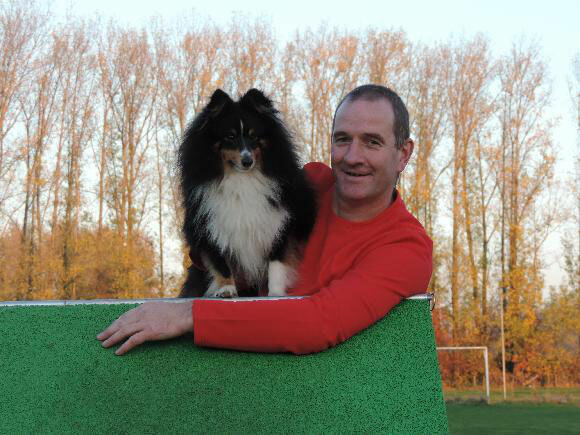 I started in agility about 20 years ago with my first dog called Vinnie – a Belgium shepherd (Tervuren). As we started competing, my interest and love of agility started to grow. Nowadays, we own 8 dogs (still a Belgium shepherd, 4 Shelties, 1 Papillion, a border collie and a Mini Australian Shepherd) and a great part of our time is dedicated to agility. We also own the Sports Association “Just4Fun” which specialises in the training of agility dogs. 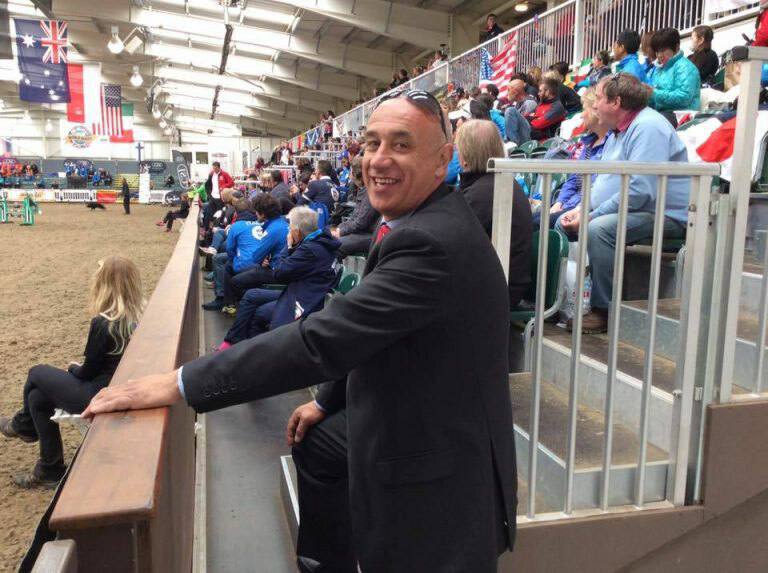 Besides judging several competitions each year in Belgium (including Championships) I have judged the World Agility Open Championships (WAO) and the British Agility Championships in 2015, The World Agility Championships in the Netherlands in 2016, IMCA & PAWC Championships in Czech Republic in 2016 along with judging the USDAA in the USA in 2017. It is a great honour for me to take part at the IMCA & PAWC Championships in 2018 in the UK as an invited judge. I will try my best to present some challenging courses for you and I hope you will all enjoy them. Last but not least, I would like to wish all participants a lot of success and hope that you all enjoy yourselves at this wonderful event. I am 49 years old and a pre-retired Paratroop Lieutenant Colonel. I started competing in Agility in 1996 with my Portuguese National Breen, Fila de S. Miguel, Kendo. In 1997, I also started competing with my dog Anushka, who was also the same breed but as fast as a Border Collie that rapidly reached the top quality of an Agility Dog. However, due to my work and several international military assignments, my agility handling career was interrupted more than I wished affecting negatively my agility career. I have been a Portuguese International Judge since 2002. My judging experience includes many Portuguese Championships, along with many events wide – Spain, Netherlands, Belgium, and the WAO 2016 in England. Lately the most relevant competition I’ve been judging are the Great Britain Agility Team Squad Performance Weekend, The International Border Collie in Czech Republic, The British Agility Championships in 2017 and other events in Sweden and Belgium. As an Agility Judge, I try to be the most comprehensive to the dog’s and handler’s safety. I like to combine a respect for all the work a handler puts in with their dog as well as the effort the dog carries out to please his handler as team-mates at the high levels of competition and I try to ensure a safe journey for all within the rules of Agility competitions. I wish to IMCA & PAWC a long and successful future and that it continues to be one of the best agility events in the world. 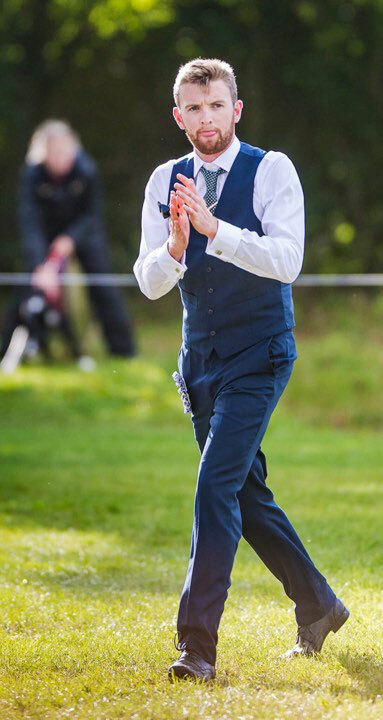 I would firstly like to thank the UK organising committee for inviting me to judge the IMCA/PAWC World Championships, a prestigious, unique and humbling experience it is sure to be. I am extremely excited to work alongside established European Judges Bart de Decker and Jorge Pires to make the 2018 finals unforgettable! The agility bug caught me at the age of 10, when I first ran a friends dogs, and then couldn’t get enough. This was quickly followed by me getting my own dog, a Sprocker Spaniel. I have since gone on to compete at two European Championships, as well as every major final hosted in the UK with this dog, and taking him from the lowest tier of UK Agility up to Agility Champion Status. I have also competed with other dogs successfully across many finals. My judging career began in 2009 at 16 years old, and today, I am the youngest ever approved Championship Certificate judge in the UK at 23. I am regularly appointed as a judge for the major Crufts and Olympia Qualifiers alongside prestigious finals. Between now and then, I have developed my style of course design to attract speed from dogs that requires good movement and handling accuracy from competitors. Whilst equipment and course safety is of paramount importance, I enjoy implementing challenging skill sets, so that it makes for a great spectacle! It was extremely moving to watch the 2017 PAWC competitors who have to overcome greater challenges to compete, they are an inspiration to anyone aspiring to get involved in Agility and I feel honoured to be judging such partnerships in 2018. When not judging or competing, my profession is nursing, where I work on an Acute Dependency Unit in Surrey. I also enjoy both watching, and participating in all types of sports. I wish every one the very best of luck at the IMCA & PAWC 2018 finals and I look forward to seeing so many of you there!